In Cris Corrigan’s blog I read this link to an article about two young people, Silas from Zimbabwe and Sam from the US. 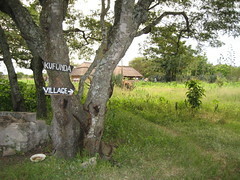 I both met them last January on my visit to Kufunda, the learning village where Silas is one of the leading people. It is really worthwhile reading. And I love how these young people are so convinced and fascinated to change the world into a better place!